Having Hatsune Miku in Virtual Reality was one of the key reasons that I was interested in the PlayStation VR, and I’m not even going to pretend otherwise. The first game to feature the waifu to end all waifus is less of what you’d call a ‘game’ and more an experience. 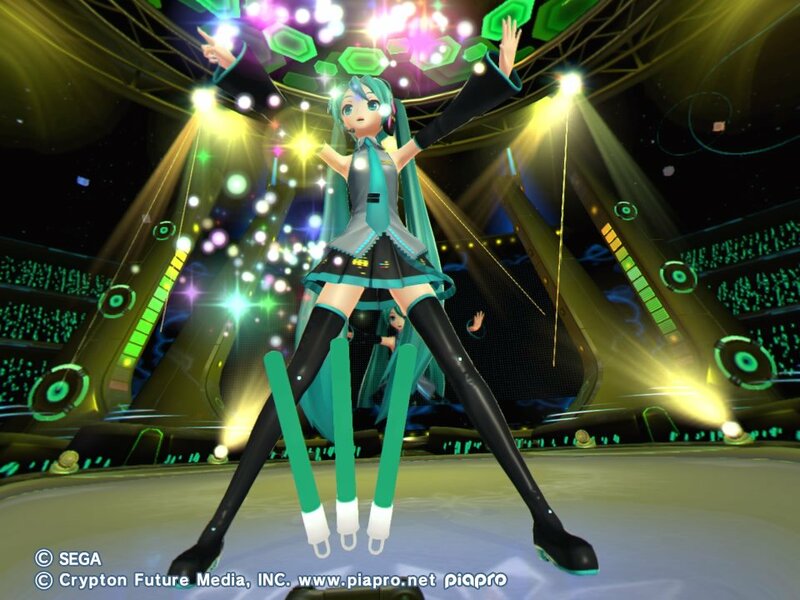 Hatsune Miku: VR Future Live puts you right in the middle of a concert being performed by the idol, and frankly I can’t think of a better way to throw on some goggles and escape the real world for a while. Related reading: A free update brought VR features to Hatsune Miku: Project Diva X, too, though it's nowhere near as substantial as in this game. Matt's review of Diva X.
I’ve been to a couple of Miku concerts now, and every time I’ve just had a blast. Miku concerts are basically my concept of pure entertainment, distilled down into concentrated form. For the couple of hours that they run, I stand there, absolutely fascinated and enraptured by what I’m seeing in the concert, as well as its implications across a wide range of more academic fields, from social and cultural through to economics. But of course there are some things about concerts that you just put up with; the crowds are large and uncomfortable, and even when you’re in the best seats in the hall you’re still not going to be as close to the stage as you want to be. But I digress. The experience of Miku in VR is substantially different from watching her performances in the other games. By placing you within the experience itself you’re witnessing something much closer to the actual concerts. This Miku is life-size, and your perception of space is no longer limited to looking at it through the “window” of a television screen. 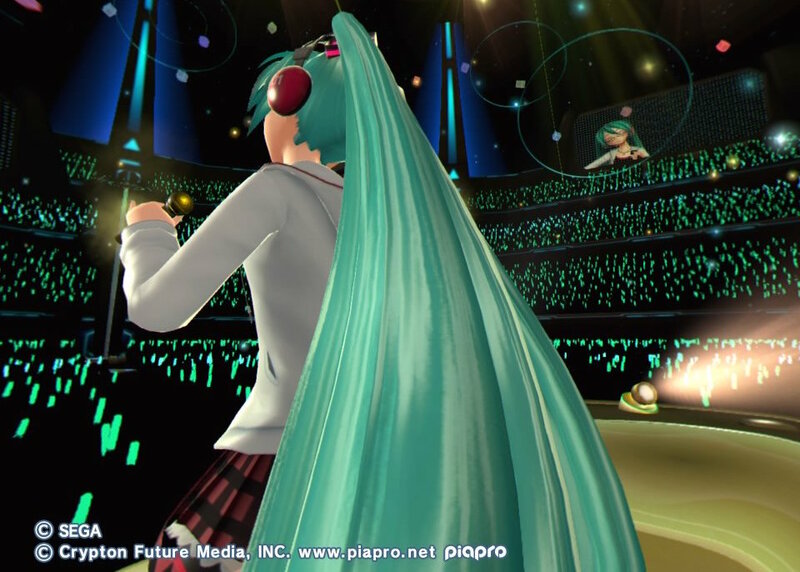 In fact, if you can drag your attention away from Miku long enough, you can turn around and watch the entire audience cheering and waving their green glow sticks in unison… just as happens in real Miku concerts. 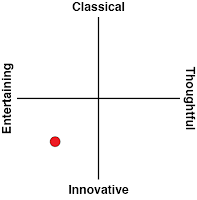 That there are also fantastic elements thrown in - i.e. getting up on stage with Miku, or the private performance reward that comes at the end - really represents where VR will be at its most compelling, to my mind. Those games or experiences that are able to put players in real-world contexts but then allow them to play out impossible fantasies are the ones that genuinely understand how powerful VR escapism can be. Related reading: Matt's experience at a (real) Hatsune Miku concert. The show itself is impressive, but actual interaction is quite limited. Your controller (be that Dualshock or Move) is recreated in game as a glow stick of your own, which you can wave in time with the music to help build up the “atmosphere” of the concert. It will also later turn into a maraca and then a leek (Miku’s favourite), though the function remains the same. A concert consists of three tracks, and at each point you’ll get to choose between two different tracks. If you’ve built up the “spirit” enough across these three tracks you’ll be whisked away to a private room and Miku will perform an encore just for you (and you can dress her up in a wedding dress for that performance, which is just ace). You can do the math; this means that there are only seven songs in the first download pack, with SEGA planning another two packs in the coming months with additional music to enjoy. As is always important for these games, there is also a bunch of costumes to unlock through play which you can get Miku to dress up in. 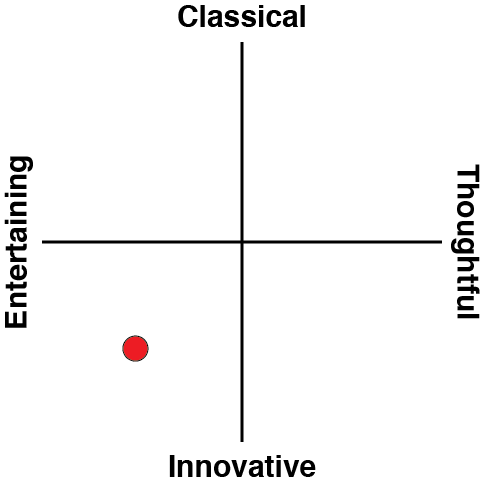 Related reading: The best Hatsune Miku game of all time remains Hatsune Miku: Future Tone. Matt's full review. I’ve seen people complain that this is “all” the game offers, and I expect we’re going to see those complaints repeated frequently over the lifespan of VR. The reality is that VR is more experiential than traditional games, by which I mean the actual act of putting on the goggles and placing yourself in another space is going to be compelling to a lot of people. We’re going to see a lot of VR walking simulators, music concerts, even history, museum, and travel tours. I’m looking forward to these every bit as much as I’m enjoying the more traditional games on PlayStation VR - because this? This is genuine escapism. I love how well-made Hatsune Miku: VR Future Live is. 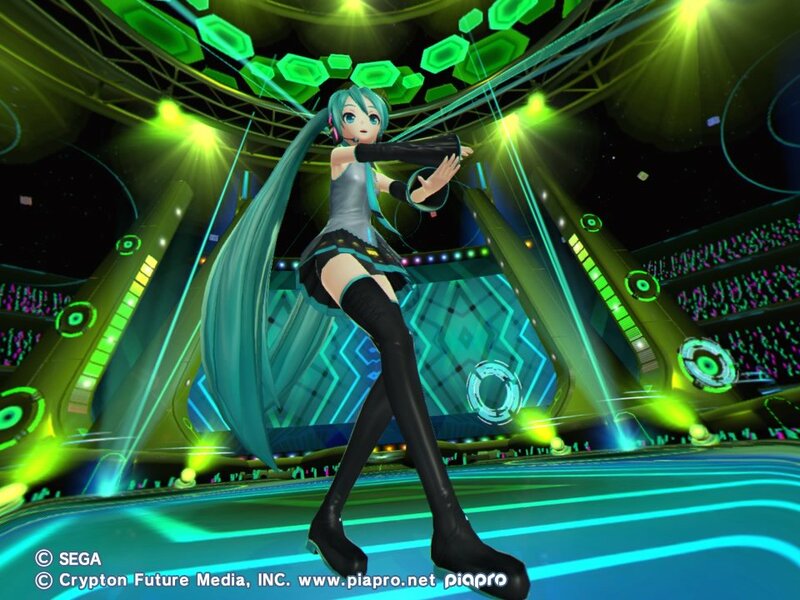 I love how stunning Miku is when she’s dancing around in VR. I love being able to put myself right in the middle of her concerts. For a traditional Miku game, I’ve got Project Diva X and Future Tone. That’s more than enough Miku gaming to last me months, if not years more. And now, courtesy of Virtual Reality, I have a completely different Miku experience to enjoy.